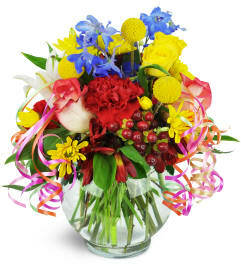 Life's a beach, and they'll think this bouquet is buckets of fun! 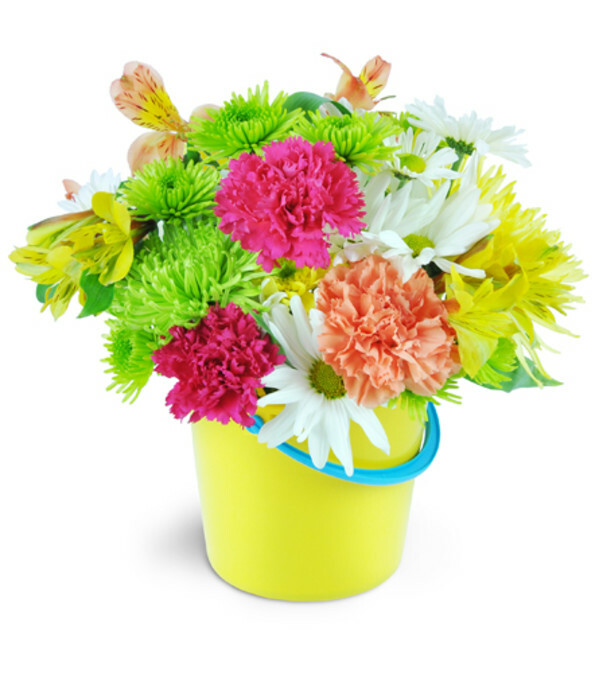 Beautifully bright summer flowers burst from a fantastic yellow beach pail! 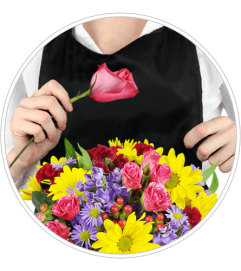 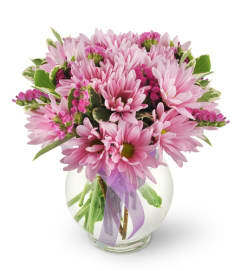 Includes carnations, alstroemeria, and daisies in hot pinks, lime greens, and bright yellows, perfectly arranged in a plastic beach bucket!